We’re feeling some seriously good vibes for 2016 here at StickerYou HQ, so now is the perfect time to share some awesomely fresh sticky ideas to help you ring in the new year. Calendar stickers are a unique and totally affordable way to announce your wedding or event, add some style to your office, or brand your business for the new year. You’ll have a total “I can’t believe I never thought of that!” moment. With our super easy-to-use Sticker Maker online editing platform, you can customize any one of our many pre-made templates, or for the more design savvy, you can upload your own custom creation. Even better, there are no minimum orders so you can order as many or as few calendar stickers as you need from as low as $9.99 per sheet! 2016 is going to be a big year for weddings; we can feel it! If you’re on the hunt for a unique way to announce the big day, calendar stickers are a fresh alternative to traditional Save the Date cards. 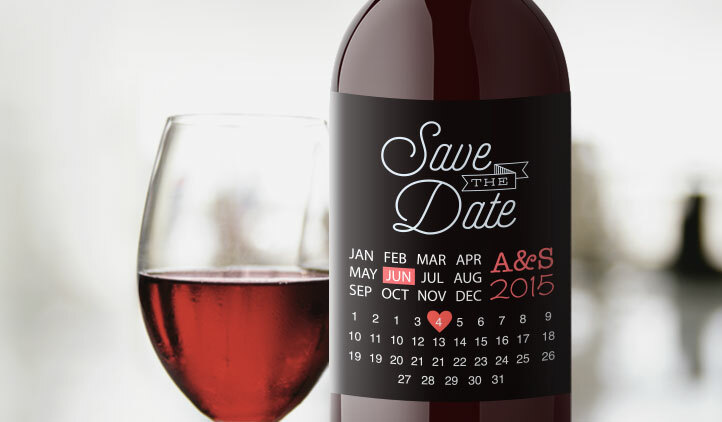 Mail them out to your guests as wall stickers or stick them onto bottles of vino as wine labels. 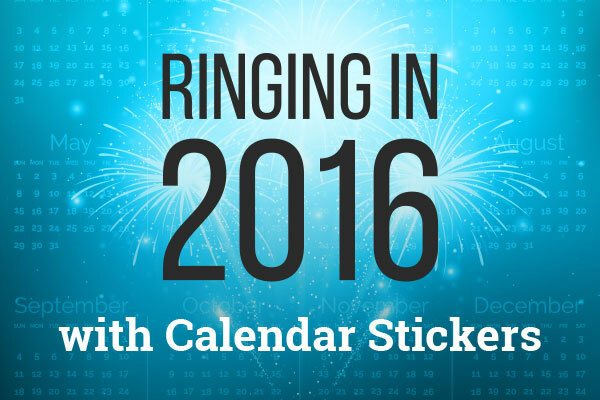 Calendar stickers also work fabulously for a baby shower and sweet 16 invitations. No matter the event, we promise your guests will be sure to show up! Calendar stickers aren’t just great for announcing your upcoming event, they’re also perfect for announcing big milestones like anniversaries, birthdays, retirements, and births! 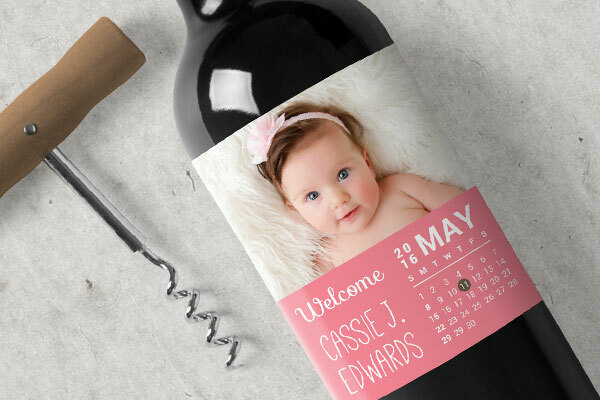 Celebrate the birth of your new baby by giving bottles of wine or beer to your loved ones with calendar sticker bottle labels. In your design, you can include your baby’s photo, date of birth, and weight. Affordable and memorable, your bottles will remain in the family for years to come. Come on, who DOESN’T love freebies? Nobody! To get your business out there, add your logo and brand colors to a calendar sticker and distribute them as promotional material at tradeshows or as giveaways to your clients. They’ll be sure to put them up on their walls or fridges and you’ll always be at the top of their mind. You can even take it a step further and use them around the office to brand your employees’ workspaces. 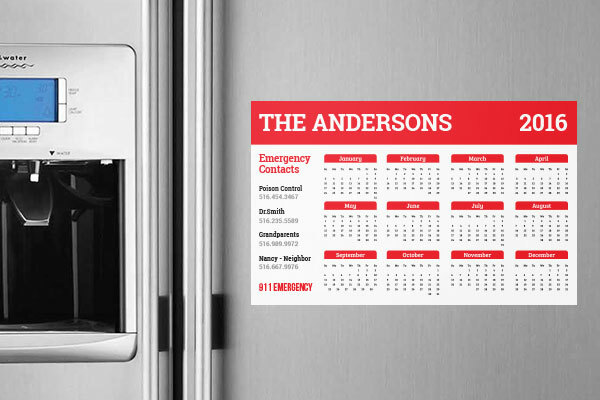 Customize your calendar with emergency contact information for the babysitter and stick it on the fridge for year-round peace of mind. The best part… you can remove the calendar without ruining your fridge surface. 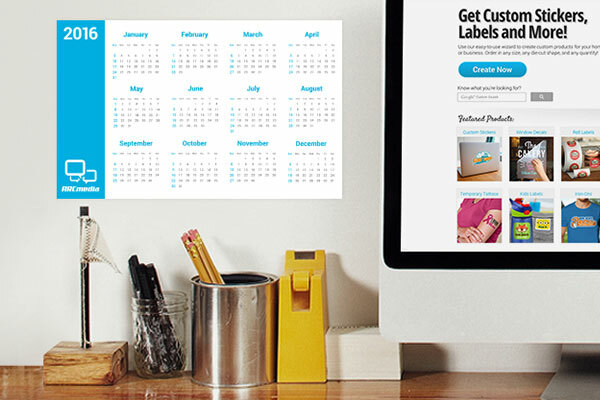 Add some style to your home office with a personalized calendar sticker. You can place it on all kinds of surfaces safely like the wall or your desk. Even better, our white vinyl material won’t leave behind any gross residue when you need to remove your sticker at year’s end. 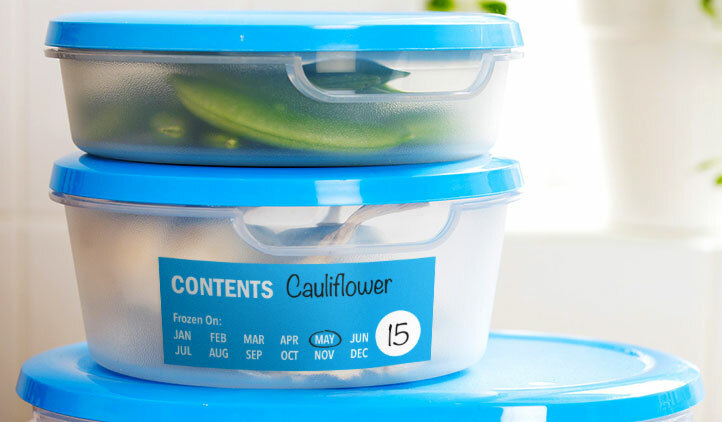 With standard dry-erase markers, you can add calendar stickers to your freezer foods and mark down expiry dates. This will keep your food fresh and your garbage bin free of unnecessary waste. The StickerYou squad wishes you, your family, and your business team a very happy and healthy 2016! For even more DIY home decor, branding, and life hack ideas to help you ring in the new year, check us out on Facebook, Twitter, Instagram, Pinterest, Google+, and YouTube. Get other great ideas, inspiration and sweet deals delivered right to your inbox by signing up for our newsletter here.